All Pentair, Pentek and Ametek Products are priced to move! The Pentek 150069 may be used in a variety of low-flow applications, such as undersink, countertop and pre- and post-reverse osmosis filtration systems. This housing may also be used in some humidifying systems, recreational vehicle filtration systems and food service applications. 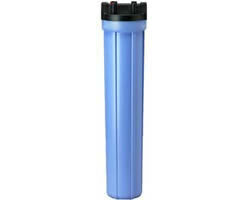 - Dimensions: 22 3/8" x 5 1/8"
Slim Line filter housings are available in either reinforced polypropylene. Four bosses are molded into every cap for mounting purposes. Excellent for low-flow applications and when space and chemical compatibility are primary concerns. OPAQUE SLIM LINE HOUSINGS Molded from rugged reinforced polypropylene, these housings are ideal for under-sink and countertop residential filtration, pre- and post-reverse osmosis filtration, recreational vehicle filtration, food service, humidifying systems and light commercial and industrial filtration. 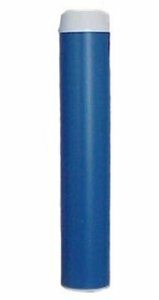 - Dimensions: 12 5/8" x 5 1/4"
The Pentek 150234 is tested and certified by NSF International to NSF/ANSI Standard 42 for material and structural integrity requirements. 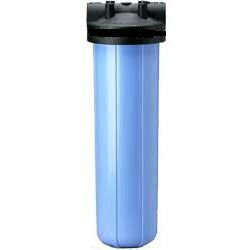 - Dimensions: 23 3/8" x 7 1/4"
The Pentek, Ametek, US Filter 10" Big Blue HFPP 1" Housing is a heavy duty filter housing with pressure release valve. The 150237 is made of durable PolyPropelene, features 1" threaded ports, and can be used for a variety of residential and commercial applications. 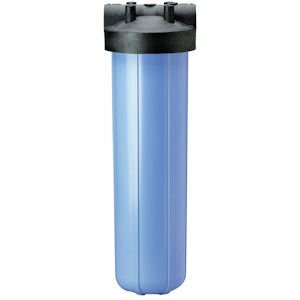 - Dimensions: 13 1/8" x 7 1/4"
The Pentek 150435 3/4" Clear 10" Standard Filter Housing is made of clear Styrene-Acrylonitrile (SAN) that allows you to visually ensure your filter is operating at its optimal flow and capacity. 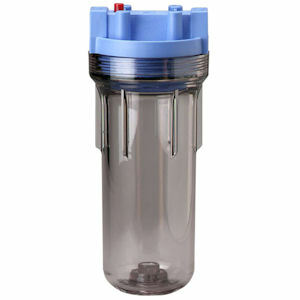 The Pentek 150467 20" Big Blue HFPP 3/4" Filter Housing features 3/4 inch NPT and pressure release button. 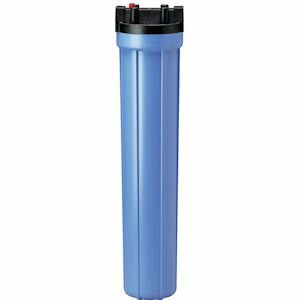 The 150467 is ideal for residential, commercial, and industrial filtration where high-flow rates are required. Made of durable Polypropylene. 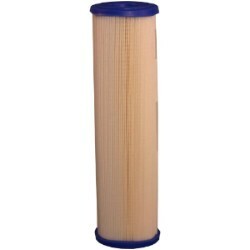 155001-43 S1 Pentek / Culligan S1A Sediment Water Filter Cartridge 2-1/2"x9-7/8"
pleated with polypropylene core S1 Series cartridges 20(20 micron) 2-1/2"x9-7/8"
Also branded as: Pentek / Ametek / Culligan / Kleen Plus / Plymouth Products / Pentair / American Plumber / Bruner / US Filter CBC Series P Series cartridges are manufactured from pure 100% polypropylene fibers. The fibers have been carefully spun together to form a true gradient density from outer to inner surfaces. 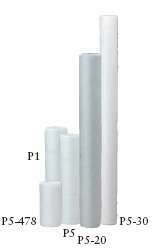 P Series cartridges are designed for purity. They will not impart taste, odor or color to the liquid being filtered when used within the recommended temperature limit. Additionally, the polypropylene construction provides superior chemical resistance and is not prone to bacterial attack. 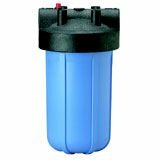 Filter cartridge for standard 20" bowl drop-in systems. 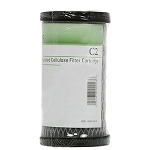 - For use in high particulate water conditions for reduction of dirt, rust and sediment. 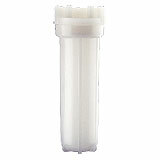 - 5 micron nominal filtration extends the life of primary filter cartridges. 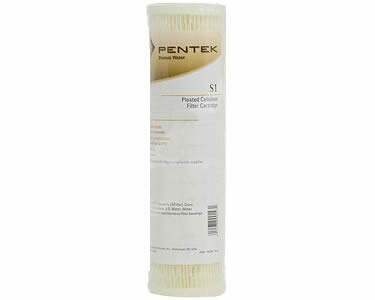 155038-43 PENTEK R Series Pleated Polyester 50micron 9 3/4"